Next to the National Maritime Museum, a modest building in a modest garden bears quiet witness to the former use of these grounds. 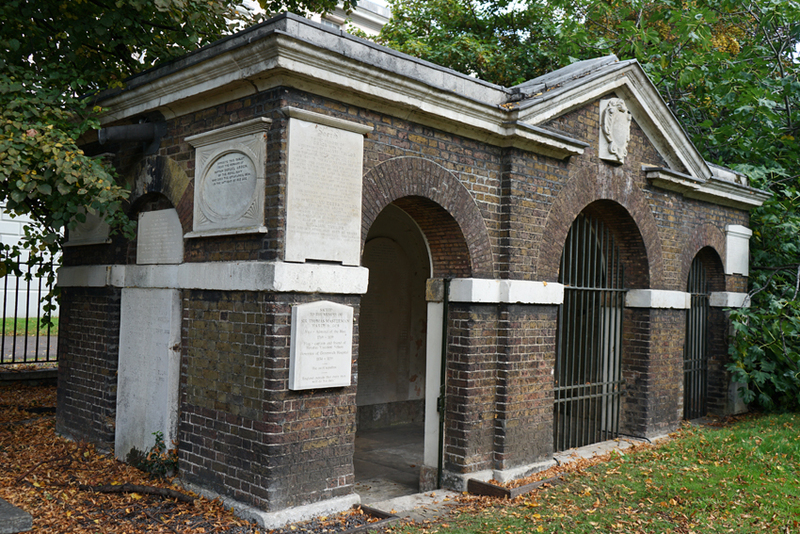 It is the Devenport Mausoleum, in the grounds of the former Devenport Nurses' Home, now a hotel. Even earlier, though, these grounds were the cemetery of the Royal Hospital for Seamen across the road. 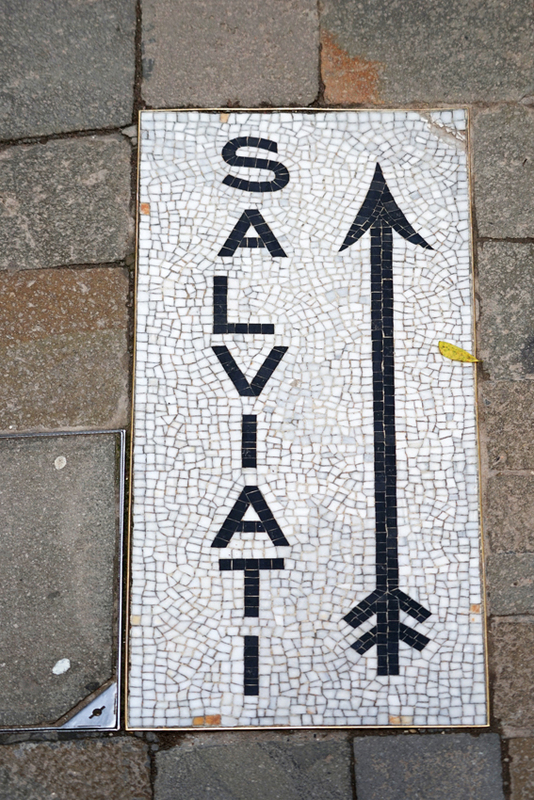 In the century from 1749, 24,000 people (mostly men) were buried here, with funerals held on Tuesdays and Fridays. 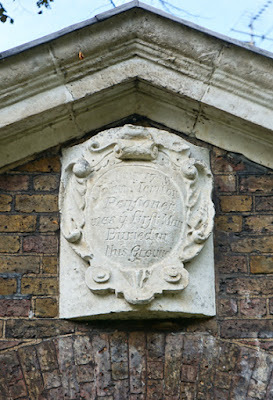 We can be sure of the start date because a plaque on the mausoleum marks the first burial on 5 July 1749, of Pensioner John Merriton. The mausoleum itself was built the following year and sits above burial vaults which extend far beyond the limits of the building above-ground. It was used to commemorate the officers buried here. Among those in the vaults are Sir Thomas Hardy (now best remembered for his presence at Admiral Nelson's death) and Nelson's servant Tom Allen. He is in the company of Admiral Lord Hood, who fought in the American War of Independence. 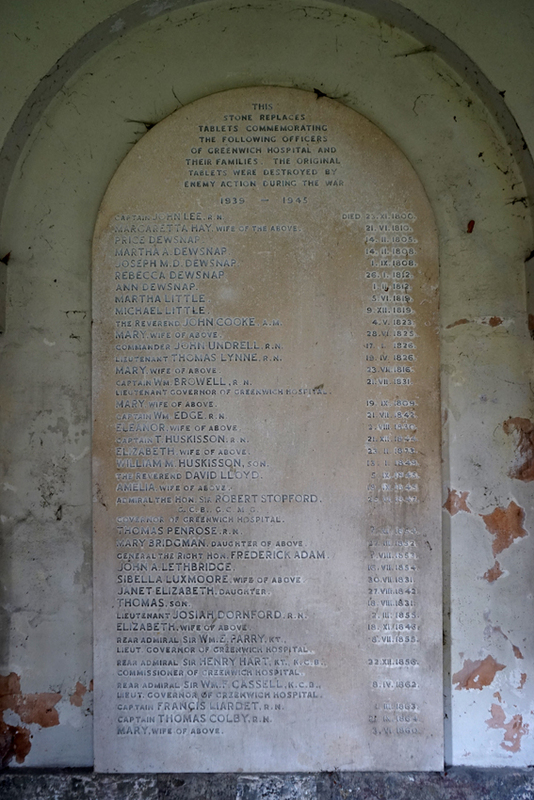 The names of others appears in a carved list on the internal wall; it replaces original tablets damaged during the Second World War. The burials stopped in 1857, when the cemetery became full, and the land became a pleasure ground for boys at the Royal Hospital School. (The replacement burial ground is itself now a park, East Greenwich Pleasaunce.) 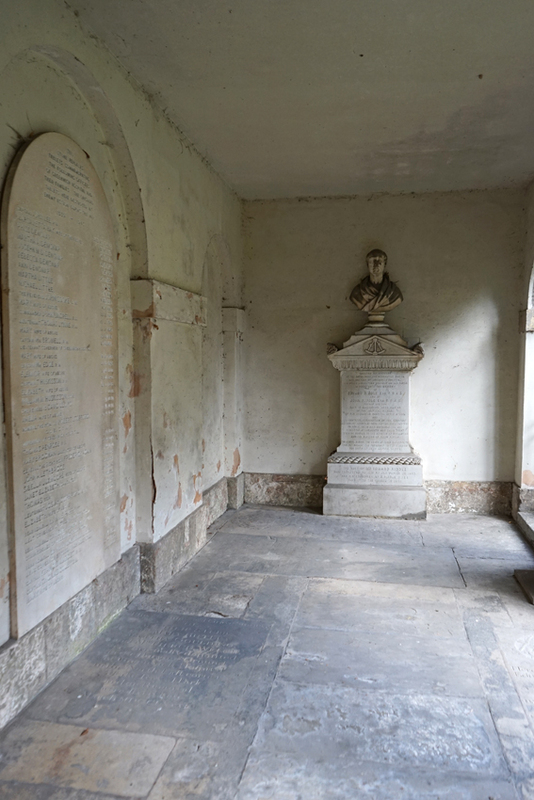 One of the school's headteachers has the only bust inside the mausoleum: presented to him on retirement, it was given to the school after his death. A number of graves were cleared in 1875 to make way for a wing of the museum. The nurses' home, and more clearances, followed in 1929. Only a few gravestones - and the mausoleum, restored by the University of Greenwich in 1999 - remain. Although the mausoleum is usually kept firmly locked, it is opened to the public for a few days a year: I visited during Open House Weekend. 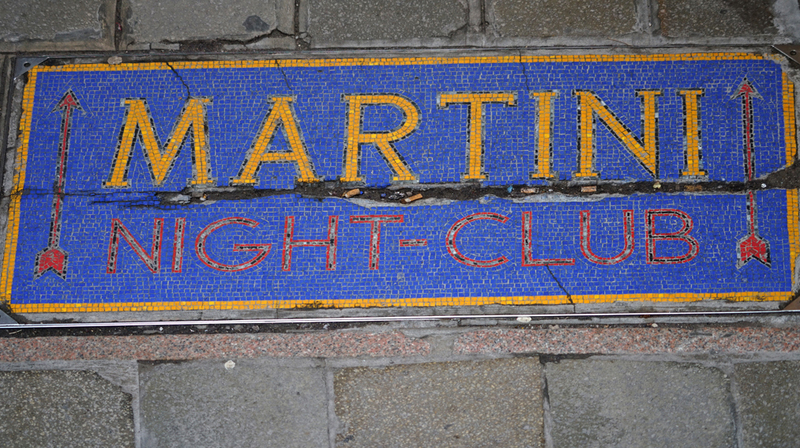 Those events offer the opportunity to explore one of the less obvious historical features of this World Heritage Site. 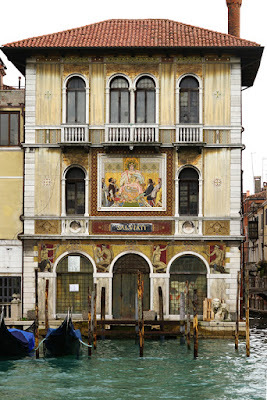 There is limited scope for ghost signs on Venice's streets, simply because most streets are so narrow and their buildings are crammed in so tightly that highly-visible gable ends are uncommon. 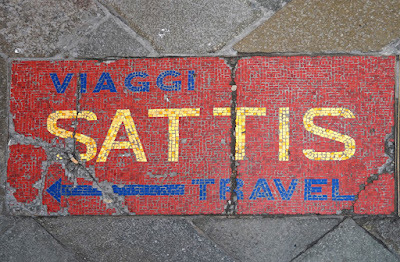 Some businesses responded creatively, by placing mosaic adverts on the pavements. 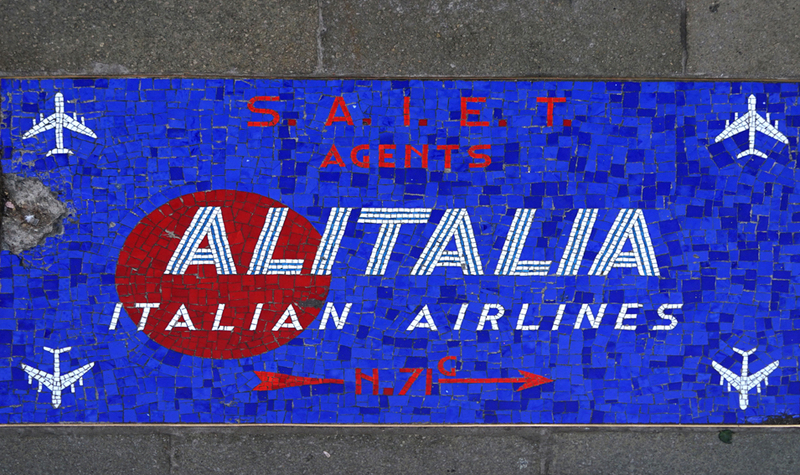 My first, and very favourite, find was this wonderful travel agency mosaic complete with aeroplanes. SAIET were established in 1952 and still operate in the Veneto, offering freight shipping services by road, boat and air. 71G San Marco, at the outer corner of St Mark's Square, is now an art gallery. 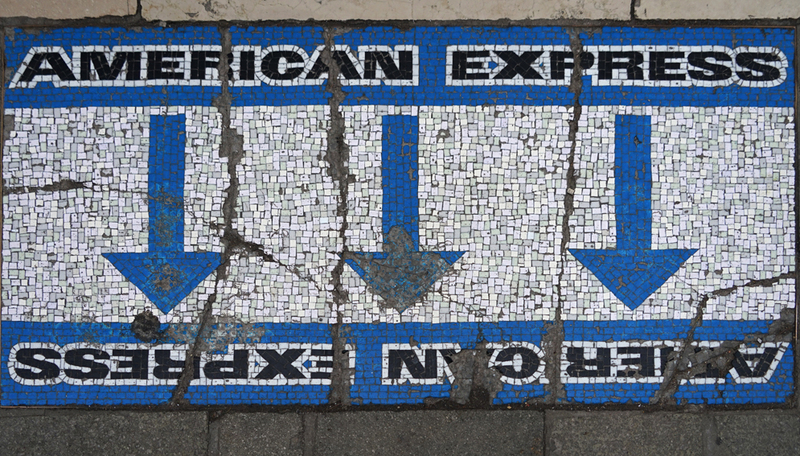 Another travel agency (now apparently gone) and American Express remind the pedestrian that they are in the tourist heart of the city, near St Mark's Square. 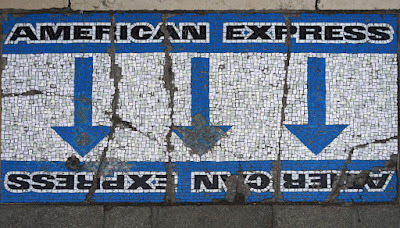 AmEx travellers' cheques cashed, food and entertainment were waiting nearby. 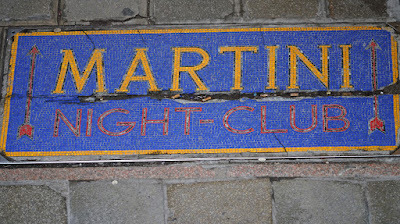 The Martini night club seems to have disappeared. There is still a Taverna dei Dogi, although it may not be the same one. 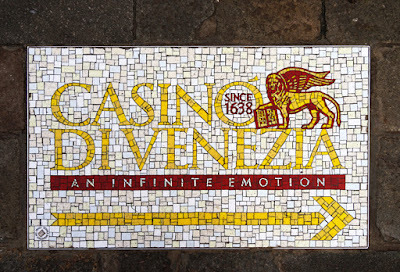 Further north, in Cannaregio, the casino also seeks to tempt tourists to part company with their holiday money. 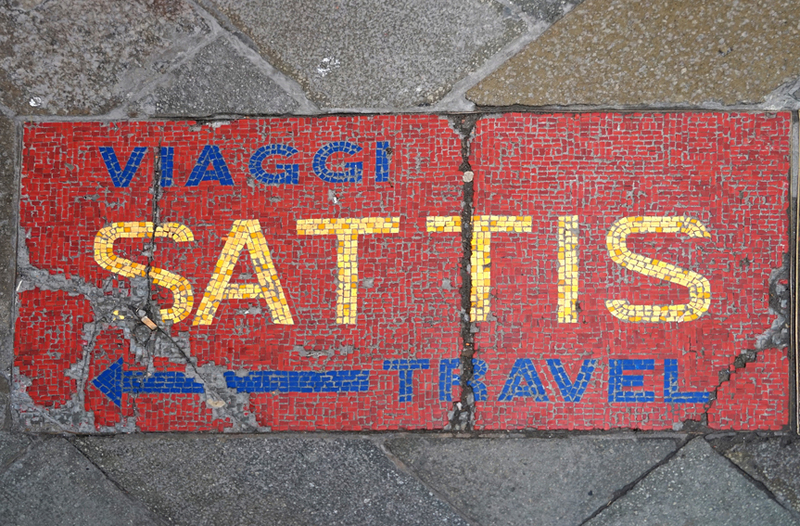 I haven't been able to find much information about this form of pavement advertising. 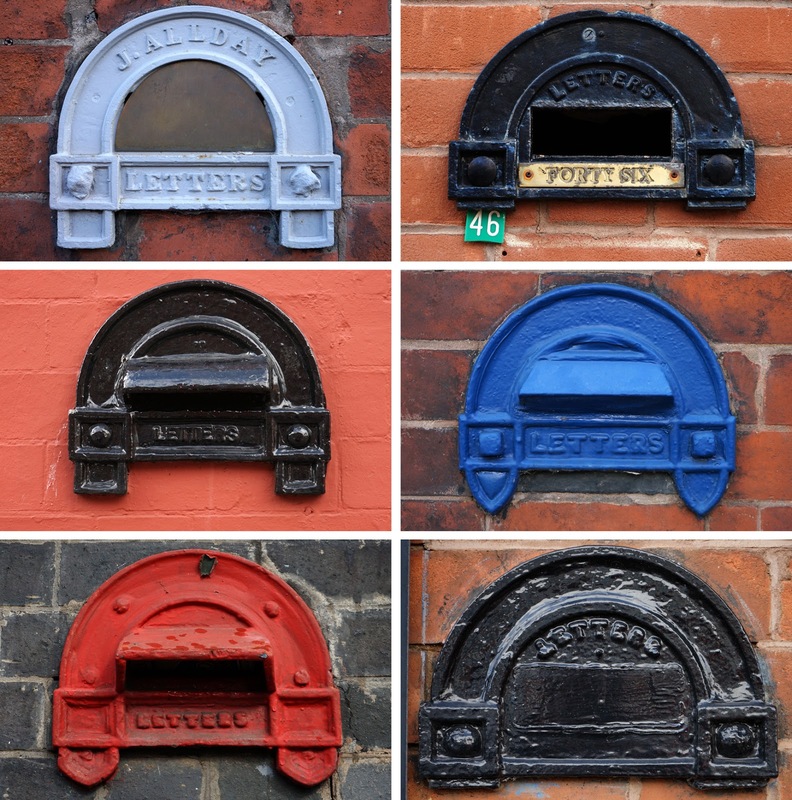 If anyone knows of its history, it would be wonderful to learn more! 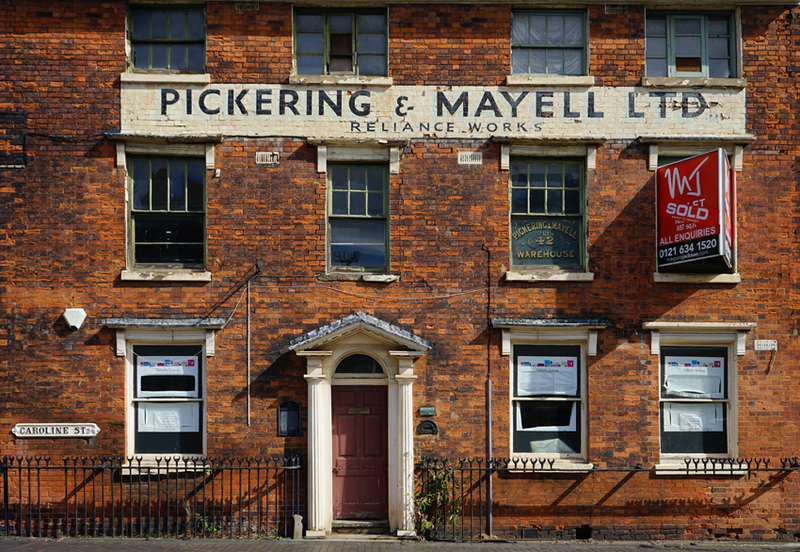 In Birmingham's Jewellery Quarter is a building full of fantastic historical features, not least the ghost signs painted along its front and side facades. 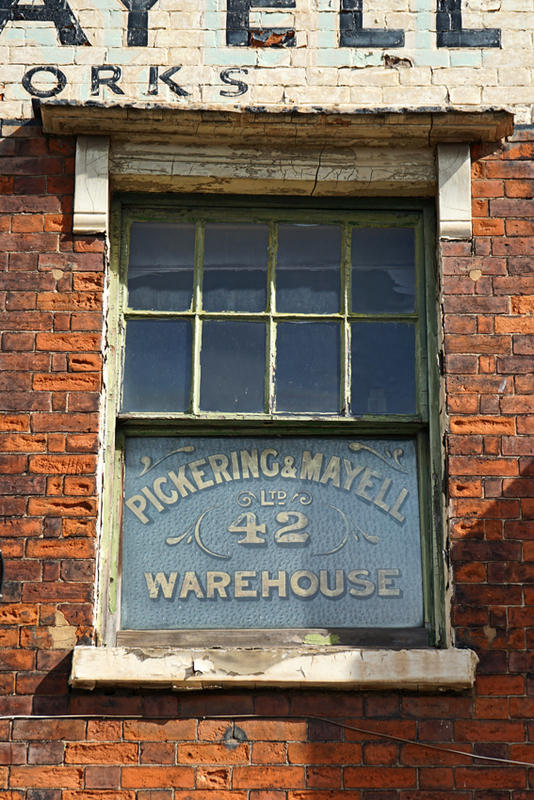 Pickering and Mayell Ltd was founded in 1913, not as a jeweller but rather to make the packaging in which other firms' jewellery was supplied. 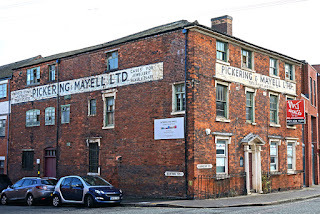 Twenty years ago, it merged with the Pickering Group and it still supplies its products to clients ranging from Argos to luxury brands. 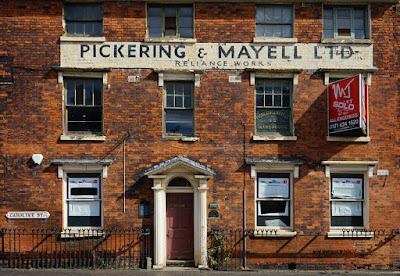 Their original premises began life in the early nineteenth century as a pair of homes. 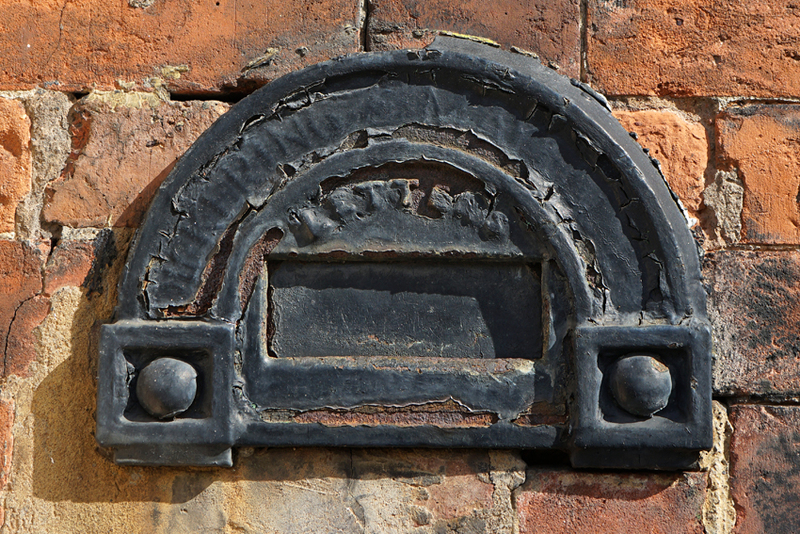 The style of the building, and features such as the doorframe, are continuing evidence of those beginnings. 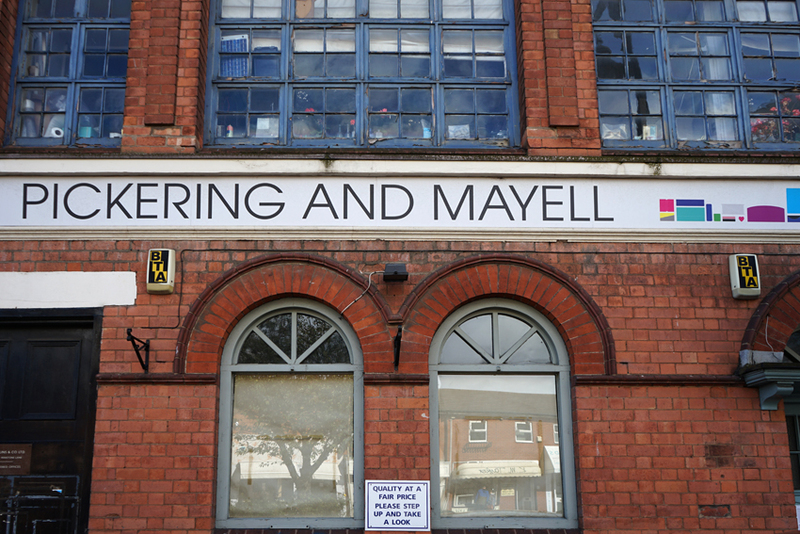 To its rear are purpose-built workshops. The building is Grade II listed; and included in the listing text is its wonderful window panel bearing the company name and street number. 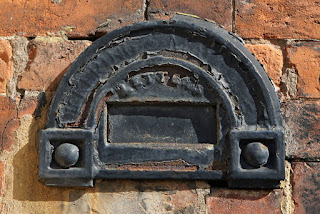 Another distinctive feature is the cast-iron letterbox with its unusual semi-circular shape. 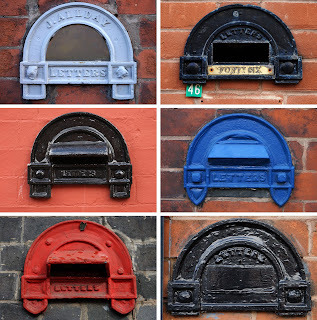 This design is characteristic of the Jewellery Quarter, with a number of surviving examples to be found. 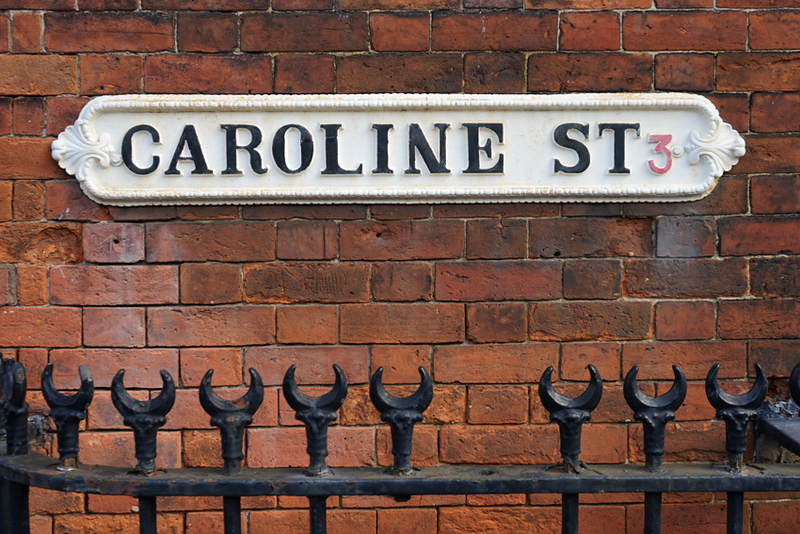 Inevitably, my favourite feature is the street sign! Not only the name, but also the cast iron sign itself, are fantastic. 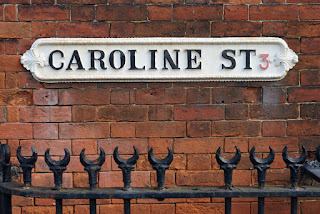 The crescent heads on the cast-iron railings are another local style. 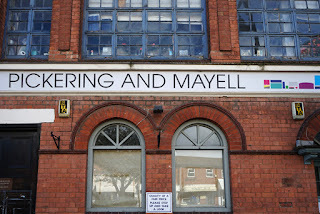 Pickering and Mayell are no longer at these premises, however. They have moved into the building of the Talbot Group a little way down the road. This building is a wonderful piece of the Jewellery Quarter's past. Let's hope it has a happy future.